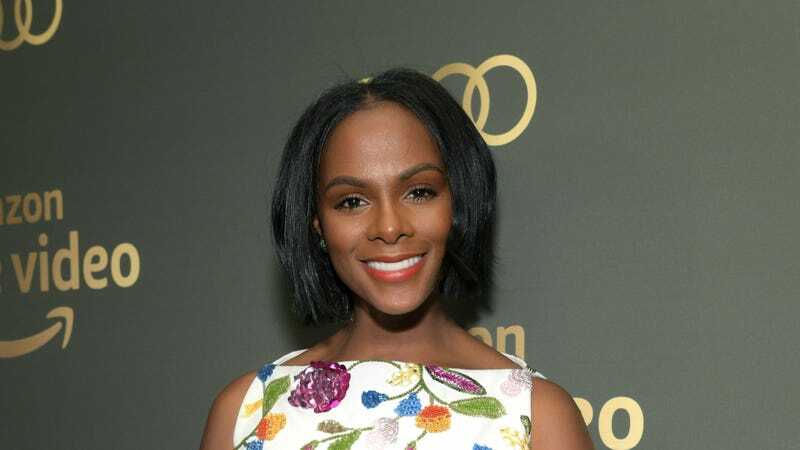 Tika Sumpter attends the Amazon Prime Video’s Golden Globe Awards After Party on January 6, 2019 in Beverly Hills, California. Fans of The Fresh Prince of Bel-Air will never forget the moment Aunt Vivian joined Team Lightskin after having a baby. Is that a WebMD side effect, by the way? Well, the flip side of that is happening with ABC’s Black-ish. Sort of. Himmel will play Rainbow, an younger version of the character played by Ross on Black-ish. Holm will play Paul, Bow’s father, Sumpter portrays Alicia, Bow’s mother. Okay. So, Anna Deavere Smith portrays Rainbow’s mom in the present day, on the ABC hit sitcom. Smith is the lovely and talented lady standing next to Beau Bridges, who portrays Rainbow’s father. If you notice, she is on one end of the Fenty Beauty swatch line, while Sumpter is on the other. The pilot is in the works now, but if it gets picked up for series, it’ll be the second Black-ish spin-off, after Freeform’s Grown-ish. We don’t have a title for the Bow project as of yet, but with this news, I’m now predicting it’ll be Tan-ish.